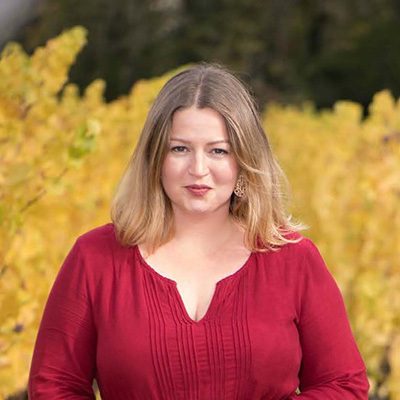 Raechel Sims is the director of communications & consumer sales for Cristom Vineyards, and also serves as 2019 chairwoman for the marketing committee of the Willamette Valley Wineries Association. An Oregon native, Raechel attended the University of Oregon where she studied journalism, hosted “Last Call Eugene” on KWVA 88.1FM and served as editor-in-chief of Oregon Voice Magazine. While her early writing career focused on music and included contributions to SPIN, Magnet and Seattle Weekly, Raechel found her passion for wine through bartending in some of Portland’s finest restaurants, eventually leading to food and wine-focused pieces with MIX Magazine and The Oregonian. She's deeply honored to work alongside the executive team at Cristom Vineyards where she oversees all DTC sales channels as well as the company’s marketing and public relations efforts. When not at the winery, you can find Raechel at a concert, on the river, or enjoying her new hometown of McMinnville with her husband Andy and possibly immortal 17-year-old cat Jamy.